I don’t know about you guys, but as soon as summer temperatures start to creep in, my entire makeup routine needs an overhaul. After all, when it’s super hot and humid outside, most traditional cosmetics will start to melt right off of your face! 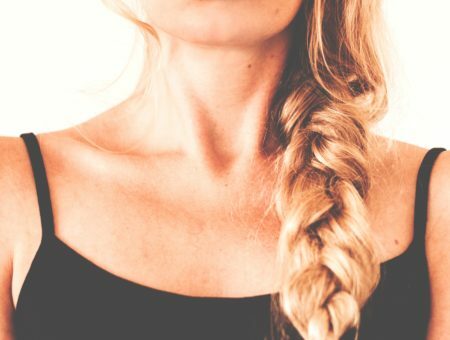 If you’ve used a regular liquid foundation during the summer, then you know about the melting, pooling, and caking that can occur. In addition, most regular liquid foundations don’t have SPF, which is so essential in the summer. China Doll foundation from Napoleon Perdis is originally priced at $50, but was on sale for $25(!) at Ulta, which is the only reason why I picked it up. Plus I was looking for something lightweight that also has sun protection (SPF 15). This foundation offers full coverage but honestly feels like you’re not wearing anything – just make sure to use sparingly, as it can look cakey if you apply too much. NOTE: This foundation is now sold out in most stores but you can still get it on eBay. We’ll update with store listings when it restocks! 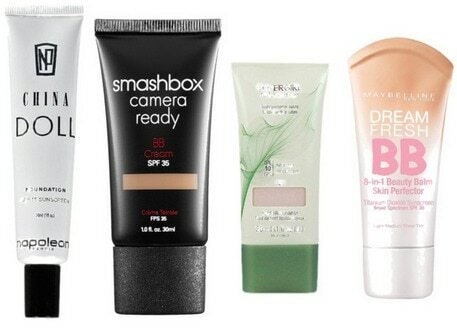 Another great high-end option is Smashbox’s Camera Ready BB Cream. This product is $39, can be found at Sephora or Ulta, and is one of my favorite BB creams of all time. It’s so lightweight, but has amazing coverage, protection (SPF 35) and is ultra sweat-proof. A cheaper foundation that I have raved about before is CoverGirl’s NatureLuxe foundation. This foundation smells like fresh cucumbers, has amazing coverage, is extremely lightweight, and has an SPF of 10 (not the best, but better than nothing). I seriously re-purchase this foundation every time I run out – I love it! If you’re looking for a drugstore brand BB cream, I recommend Maybelline’s Dream Fresh BB Cream. It doesn’t have the best coverage, but it does color correct and moisturize while providing protection from the sun. I like this product for those days when it’s unbearably hot and you don’t want to lift yourself off the couch (or from in front of the fan). If you have serious blemishes or dark circles to cover, the last thing you want to worry about is your concealer evaporating halfway through a hot day, or getting splashed away at the pool. 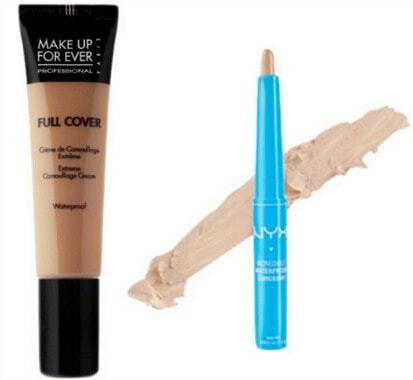 Below are the two waterproof concealers that I recommend most. Both of these products are extremely good at providing medium to full coverage while staying put on your face throughout a hot summer day. Make Up For Ever’s waterproof concealer is long-lasting, provides full coverage, and is super lightweight, but is also a bit pricey at $32. However, I purchased this product two years ago and it is still going strong, meaning you get a lot of bang for your buck. I really trust this product with covering my problem areas and staying on my face all day – even when I’m swimming! An inexpensive concealer I recommend is NYX’s waterproof concealer stick. It’s very creamy, has good coverage, lasts all day (through sweat and water), and is so budget-friendly at under $5. In the summer heat, it’s important to go with a lightweight, mineral powder to set your foundation and/or concealer – any others will make you feel like you’re wearing pounds of makeup! NYX’s Mineral “Set It & Don’t Fret It” is a great drugstore find that will help to keep your makeup on all day and give your face an extremely matte finish. If you’re looking for a higher-end product with a little bit of illuminating power, then bareMinerals’ Mineral Veil will give you a great, all-day finish while adding a bit of sheen. There are several different blushes that can be worn in the summertime, ranging from liquids to creams to mousses. I wouldn’t recommend wearing any powder blushes because they will feel heavy and may leave a cakey appearance after a few hours. NYX’s Rouge Cream Blushes come in various shades and are extremely easy to blend and apply. I love the color they give – they’re subtle yet beautiful! 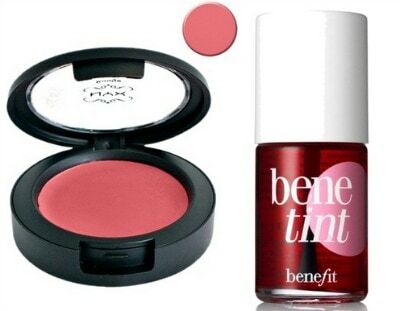 Benefit’s Benetint is a product that can be worn not only as a blush, but also as a lip color. It’s a beautiful light red stain and stays on your face or lips all day long. It also smells delicious, kind of like cherries! Tip: Both of these blushes come in colors that can also be used as a highlight (on top of your cheek bones and down the bridge of your nose). 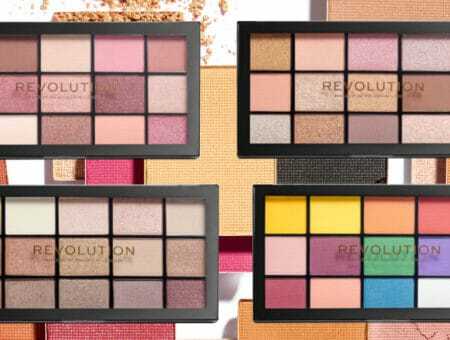 If you’re looking for a highlight shade in these products, look for a light shimmery champagne or light shimmery golden bronze color – they will look fabulous in the sunlight. If you’re looking for a little color for your lids, then I would recommend using a cream-based product, since they stay put if you begin to sweat or are going for a swim. Primer helps any eyeshadow to stay on longer, however, these products wont be needing any setters – they stick on your eyes all day long! I really love using cream eyeshadows during the summer because it takes literally 1 second to apply and gives your eyes a beautiful shimmery effect while staying on all day long! Seriously, I’ll get out of the water and these are still on my eyelids! Make Up For Ever’s Aqua Cream is insanely pigmented, waterproof, and beautiful. There are so many different colors to choose from that you may become overwhelmed. What’s cool about this product in particular is that it can do double duty as a highlight, blush, and lip color, as it is made to be safe for eyes and lips. Maybelline’s Color Tattoo also comes in a range of beautiful shades, however these are not advertised to be safe to use on your lips – of course you can use them as a highlight or blush, though! What Maybelline has that MUFE doesn’t, though, is an even bigger range of colors with multiple different iridescent glitters and shimmers. (In addition, Maybelline’s shadow is lower priced.) It’s all personal preference, though! Eyeliner is totally optional in the summertime (as, really are any of these other products that I’ve mentioned). However, you know how much I love my cat eyeliner – I’m obsessed! So a good waterproof liquid liner is a summer essential for me. Stila’s Stay All Day is a waterproof liquid eyeliner pen. Because it’s a pen, it gives you more control because the brush isn’t flimsy. I really like this product because it comes in so many different shades AND will stay on through a fun day in the sun. If you’re looking for a more affordable waterproof eyeliner, I recommend Wet n’ Wild’s H2O Proof. This product stays on all day, through the water and sweat, and can even be a little bit difficult to take off with just water. (You’ll need to use a high-quality eye makeup remover.) For just $3 you get an amazing eyeliner, however, the brush can sometimes be a little flimsy so be careful when you’re applying it! I personally prefer drugstore mascara to high-end mascara because it needs to be replaced so often. 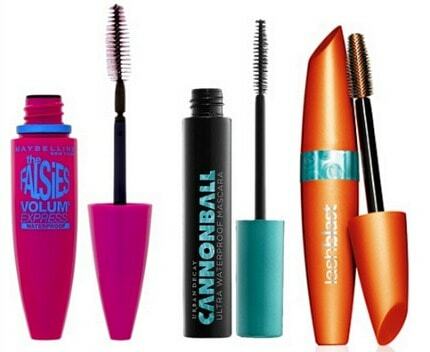 However, one high-end waterproof mascara that I really loved was Urban Decay’s Cannonball mascara. This made my eyelashes miles long and ultra-defined. Maybelline’s Falsies mascara is also amazing and is a lot cheaper than Urban Decay. My lashes looks awesome and thick when I apply this mascara, I love love love the way they look! Even though I love Maybelline, CoverGirl’s LashBlast will always hold a special place in my heart. It’s waterproof, lengthening, defining, and just amazing. I love the way my lashes look when I use this mascara (and it doesn’t hurt that it’s incredibly waterproof!). Have you ever tried any of these products before? What is your summer makeup routine? What are some other sweat-proof water proof makeup products that you recommend? Let me know in the comments below!